Constructions site safety is a 24×7 task, and one of the top factors is the risk of fire. Fires may start for many reasons, from deliberate actions or negligence to issues with equipment or wiring, to natural causes like lightning. A comprehensive, multi-layered approach can reduce risk and speed up the response time in the event a blaze erupts on your construction site. How big is the risk of fire? In the U.S., fire departments each year respond to an estimated 8,440 fires in structures that are under construction, undergoing a major renovation or being demolished, according to the National Fire Protection Association. Overall these fires cost an average of $310 million in property damage, 13 civilian fatalities and 132 civilian injuries annually. Buildings under construction represent some unique risks. 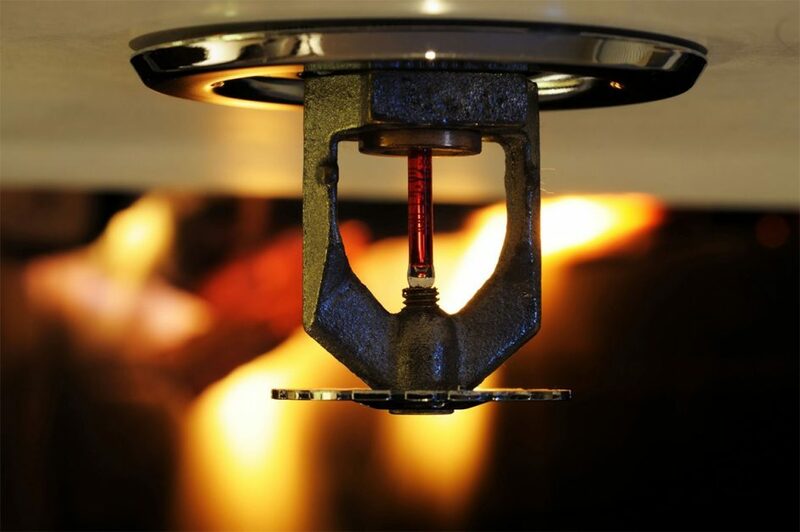 Fire protection systems – alarms, sprinklers etc. – are not in place until later in the build. Unfinished structures may house combustible materials and be exposed to the weather. Trash may accumulate from the building and the surrounding area, leading to piles of combustible materials in unexpected places. At the same time, access control can be challenging with many people coming and going from a site. All of these factors play a role in construction fire prevention. 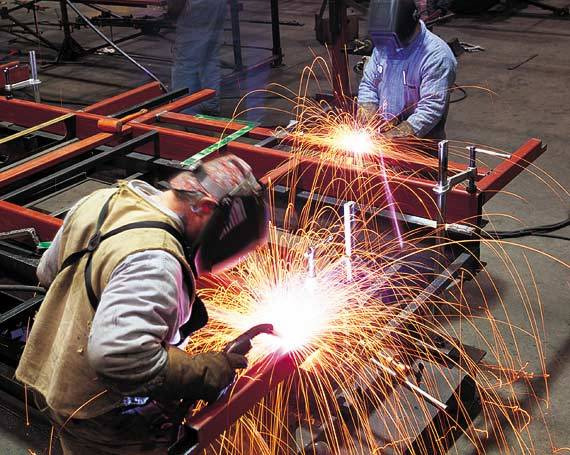 Cutting, welding, and grinding create potential hazards for combustion. Site managers should develop and enforce a formal written hot-work permit system with all trades and subcontractors. Careless discarding of smoldering smoking materials is a leading cause of fires. Prohibit smoking inside structures and all around the site. If there’s room, establish a designated smoking area to prevent people from sneaking around and dropping lighted cigarettes. 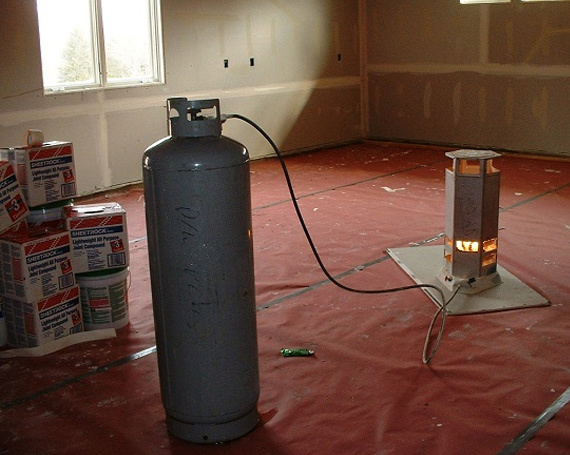 Depending on weather conditions, temporary heating from kerosene, propane or electric heaters may be necessary. Failure to set up these heaters correctly or to keep them clear of combustible materials could result in a fire. Also, pay attention to flooring material to ensure that it is not at risk of fire caused by portable heaters. 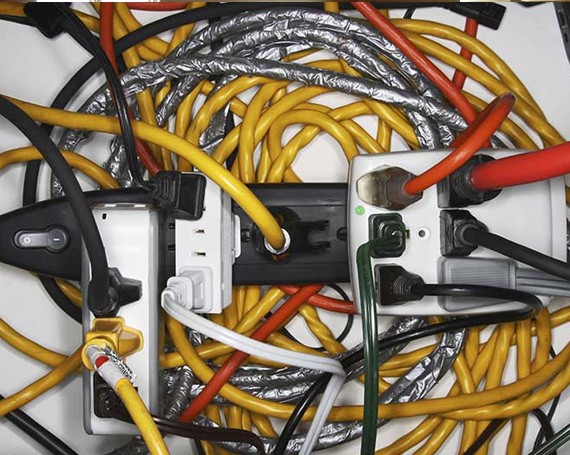 Even temporary electrical equipment should be installed according to national and local electrical codes. Improperly installed or maintained equipment could give off heat or sparks that could ignite unprotected building materials. Waste and rubbish are fire hazards on many construction sites, so clean up the area at the end of each workday. Place trash bins a safe distance away from structures. Often, a fire may not cause all the damage to a structure. 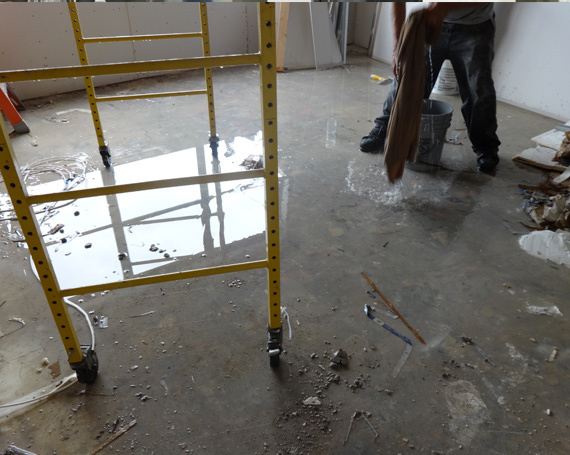 Water damage from efforts to put out the fire can add to the losses on the site. Reducing fire risk also reduces potential losses from water damage. Flammable chemicals left at a construction site can pose a serious fire risk. Make sure workers know the proper procedures for handling and storing combustible chemicals. 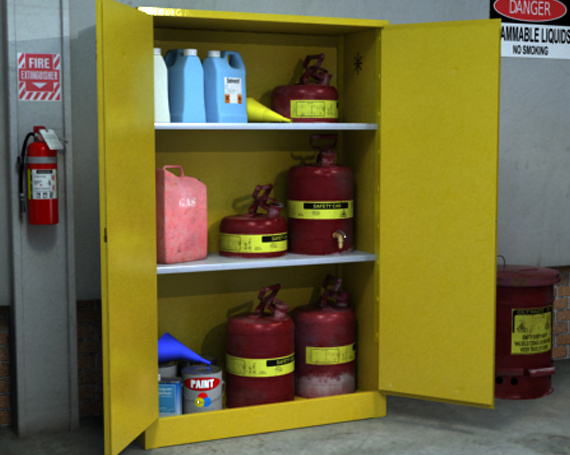 Use only approved containers and make sure all chemicals are put away in fire retardant storage cabinets. While deliberately set fires are low on the list of top causes, they do happen and can be very costly. 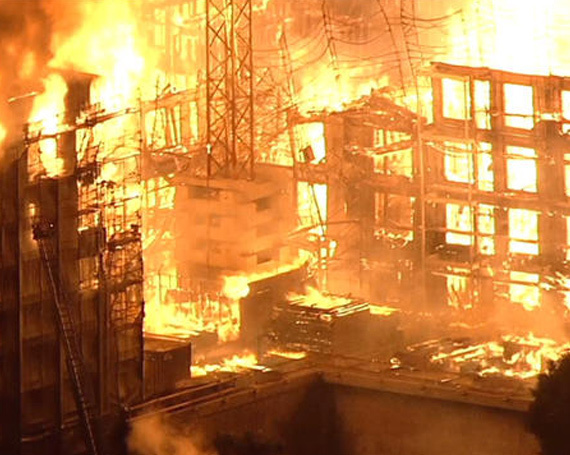 A robust construction site security plan can reduce the opportunity for arson to occur. The best plan for construction site fire prevention is also the best approach for overall security. A multilayered security plan starts with the perimeter and works inward on the property. 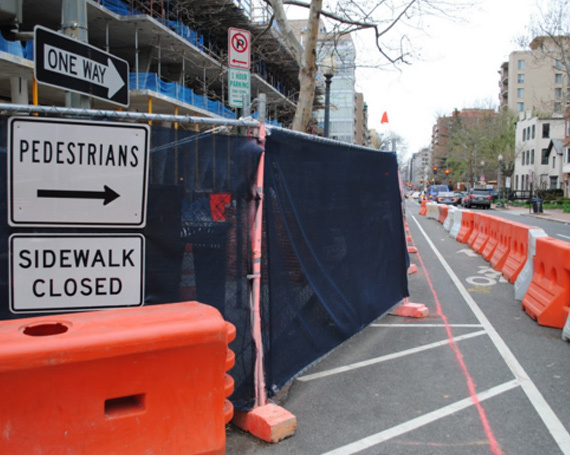 Establish a plan for the site, including designated person(s) responsible for site safety. 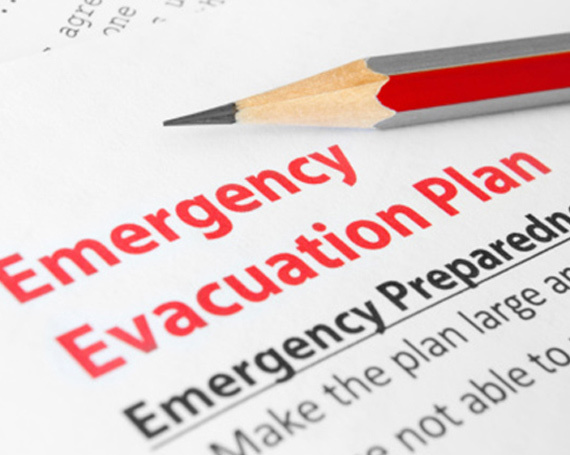 Establish procedures for everyone on site to follow in case of a fire, including reporting the fire and evacuation procedures. 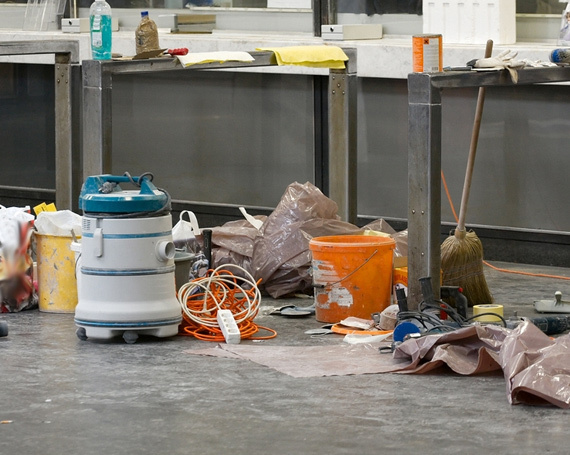 Post rules for housekeeping and disposal of construction waste and debris. Of course, follow local codes for placement of fire extinguishers and fire alarms. Erect effective physical barriers and access control to prevent trespassers from accessing the site. This step should include full perimeter fencing, locked access gates, interior and exterior lighting and warning signs at the least. Strong perimeter security will prevent arsonists from gaining access to the site. Smart security technology such as mobile surveillance units (MSUs) incorporates cameras, two-way audio communication, and video verification to create a strong security presence against all threats. Use a security monitoring service that will monitor cameras and physical security, as well as fire and smoke alarms. A monitoring service can ensure 24×7 coverage and rapid response to minimize damage. Use thermal cameras for a high level of fire prevention. A thermal or night vision camera can measure a rise in temperature and sound an alert before a fire breaks out. 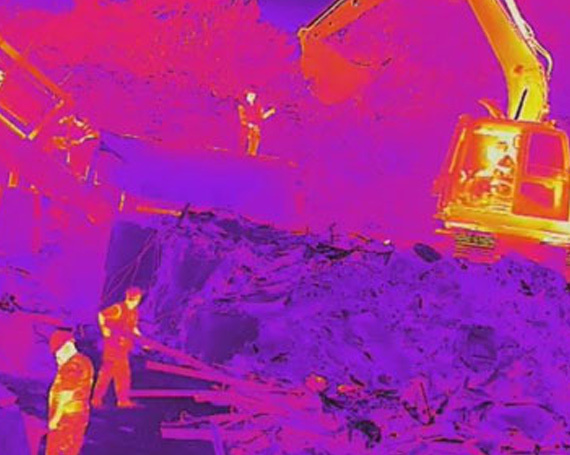 These cameras detect heat signatures through natural obstacles, such as bushes and trees, allowing them can spot fires in remote or hidden areas of the site. They work in low light situations and are also useful tools for perimeter security. 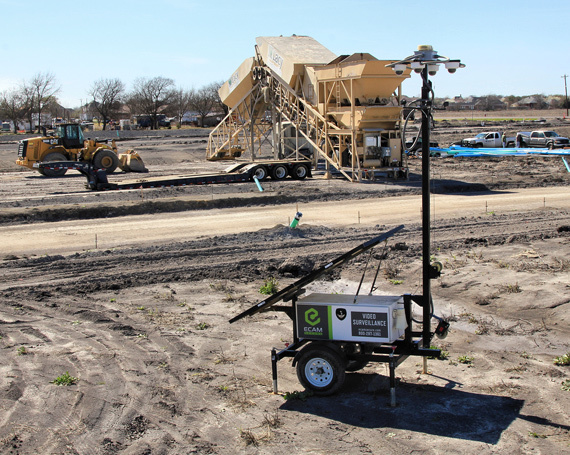 Drones equipped with thermal imaging cameras and gas-leak detectors are tools that can improve construction site fire safety. They can fly at night and in remote areas to help assess the situation and prepare the appropriate response. With a robust construction site security plan, you can reduce the risk of fire on your jobsite, related costs, and project delays. To learn more about the latest in security technology, download our new eBook, ‘The Complete Guide to Securing Your Construction Site: A Layered Approach’. 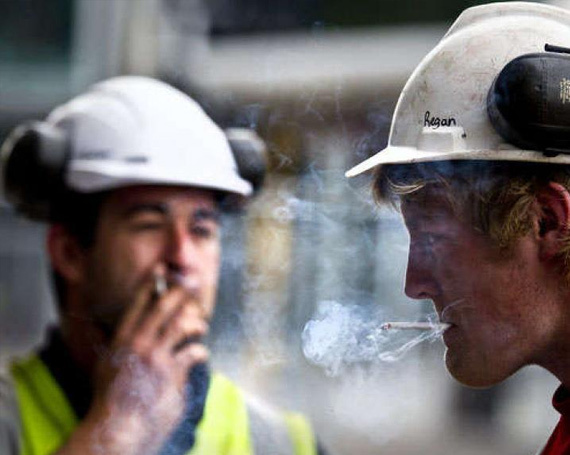 Would you like to see how we can help you prevent fires on your jobsite? Get in touch. Our friendly customer service representatives are standing by, ready to answer any question you may have.